‘You have to do it yourself?’ I hear a smartly-dressed lady ask her equally well-dressed friend. It seems like a very “un-David Jones” thing to do but yes, at their new wine bar – the novelty is Do It Yourself. Tucked away in a discreet corner of its sprawling basement gourmet food court is the David Jones Wine Bar. There are a handful of stools that line the bar for solo dining and a few large tables are perfect for groups of up to six. 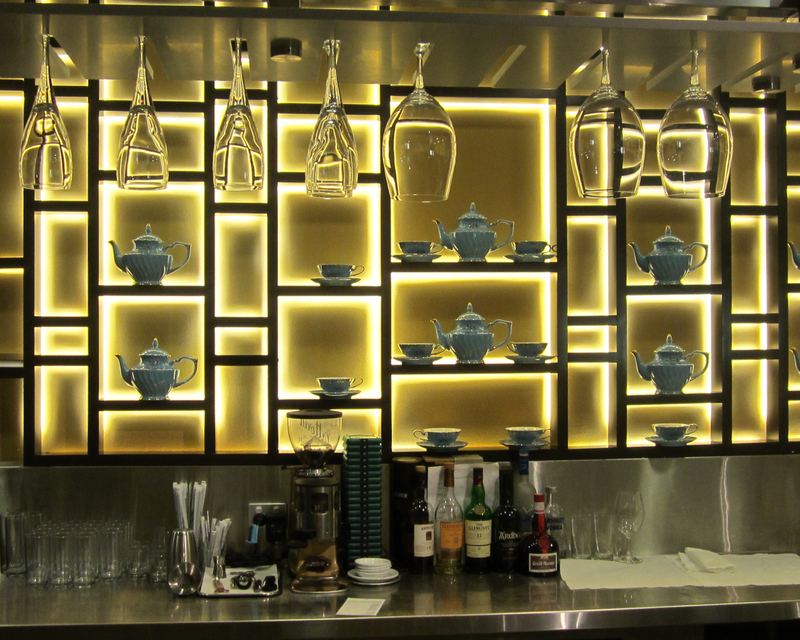 One wall is lined with emerald green floral Tea2 teapots, cups and saucers, adding a touch of frivolity to the otherwise serious bar-like surrounds. The idea is simple: put some credit on a plastic card and then walk over to the glass wine cabinets that run the length of the wall and touch the button above your wine selection. Not a wine connoisseur? Never fear! The David Jones philosophy of selling “the best and most exclusive goods” still applies to its high-class vending machines and there isn’t a glass on their wine lists that isn’t worth drinking. The DIY nature of the wine bar may not be for everyone, but it’s a novelty that’s worth a visit – even if you just wind up with a bagful of chocolate-coated-strawberries from the main food court on your way out.